Last month, I shared how we “rowed” The Salamander Room. The story of Tony, his Dad, Nino, and their family business… a pizzeria. Tony’s dad makes the best pizza in town. When he gets the opportunity to expand his business, a valuable lesson is learned by all. This is a gorgeous book with vibrant, colourful pictures. Outside of reading this book daily, we read some other relevant books as well. We also listened to the Pepperoni Pizza song from Dr. Jean Feldman’s album, Totally Reading. This song is great for learning beginning sounds. The YouTube video for the song is HERE. We studied the poem, A Pizza the Size of the Sun by Jack Prelutsky. Oklahoma Ag in the Classroom has a great lesson plan involving this poem (there are sample discussion questions and even an activity prompt). You can find the complete lesson HERE. We discussed homonyms such as the word “knead”. We had fun making a list of various homonyms. We also discussed the theme that appears the story. My oldest daughter immediately recognized the theme “bigger isn’t always better” and was able to articulate her thoughts regarding the theme. I had my youngest daughter do a “P is for Pizza” worksheet. We discussed the origins of pizza; that it goes back to the Middle East but that the pizza we’re most familiar with originates from Naples. We looked at the map and placed our story disc on Naples. There is a special relationship between Tony and his Dad, Nino. 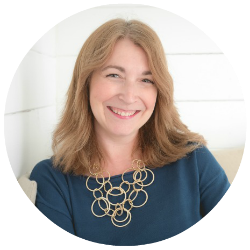 We discussed this relationship and what it must be like to work with your family members. Nino and Tony give their leftover pizzas to the homeless. We discussed homelessness and how we help people who are less fortunate than us. The great thing about rowing this book was all the opportunities to explore fractions! I got this FREE printable off of Teachers Pay Teachers and explored fractions with the girls. We also investigated measurements that someone would use to make a pizza. We explored yeast and how yeast helps the dough to rise. We made a flour and water mixture and a flour yeast and water mixture. We placed our creations in a warm place and discussed what happened. We made pizza! Of course! Our dough was made from scratch, and the girls assembled individual pizzas to bake in the oven. 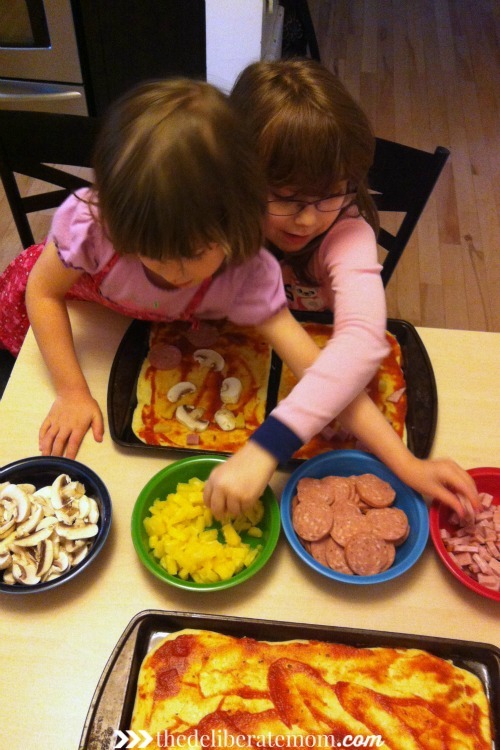 We observed the changes that took place throughout the process of making our pizza (i.e. the dough rising, the cheese before and after baking, etc.). Delicious and fun! We discussed the gauche style of painting that appears in the book and looked at examples of gauche artwork. The girls painted pictures, inspired by the artwork in Little Nino’s Pizzeria. We explored the symbolism that appeared in the artwork of this book. We sang the song; I am a Pizza by Charlotte Diamond. I love this song because it’s a blend of English and French (plus the tune is super catchy)! I wanted to get the Melissa & Doug Pizza Party Set but I’ve been extra conscientious with our homeschool funding this year. So I made an alternative! I cut out pizza “pieces” from some felt scraps we had. My youngest daughter used the pieces to assemble her own “pizzas”. As she played, and exploration evolved, so did this activity. We added pizza flyers/menus and made a little pizza “restaurant”. Both of my girls ended up loving this activity! For my youngest daughter, I used a lot of ideas from this 40 page Pizza Learning Pack (from 123 Homeschool 4 Me). There was matching, word building, counting activities and much more. I also cooked apple pizza with my youngest daughter. I know it doesn’t look like the most appetizing dessert but trust me, it’s delicious. 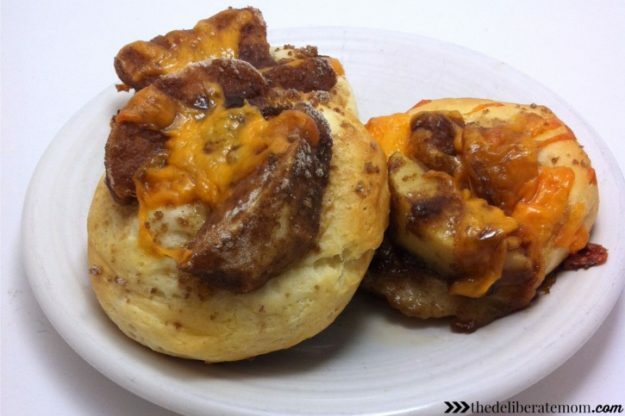 Apples, brown sugar, cinnamon and cheese baked onto a biscuit is simply… perfection. So are you hungry for pizza yet?! We had such delicious fun rowing this book. I highly recommend it! I love weaving curriculum this way… the learning is so much more tangible and the girls just love it! We were all about the pizza that’s for sure!. And now I want some pizza. It’s a fantastic book… plus not one many people are familiar with either. I just love your 5 in a row curriculum and I think that once I’ve truly decided to homeschool Madison, that’s what I’m going to do. I have a few books that I can do this with and just might with her right now, after all she’s not too young to learn. I just love rowing a book. We have so much fun, so educational, and it really brings the book to life for the kids! I always wanted to get my girl the Melissa & Doug pizza set. So many learning opportunities there. I love the 5 in a row idea still. I need to enforce this with Little A’s reading. Well, you could always make your own version like I did! I love “rowing” books, it really brings literature to life (and I think it brings more meaning to the books for kids). I love the math and science parts! I wondered if you’d mention fractions and/or yeast and dough rising. One of my first short stories ever written was about pizza! So much curriculum can come from pizza! It’s diverse! Hmmm, you have me intrigued with the short story now. Hi Jennifer, so much education in one book! I have always encouraged reading and when the children were younger we would discuss characters and certain aspects in the book, but you’ve taken it to a whole new level. And yes I do fancy having a go at making apple pizzas, it’s not anything I would have thought of myself, but they sound good! I love exploring books in this manner… it makes them so much more enjoyable and the kids get soooo much from it! Wow, you did a lot of stuff from one book! I’ve got to try this method with some of our favorite books. I have a blast rowing books Amanda! It’s such fun and it makes curriculum come to life! 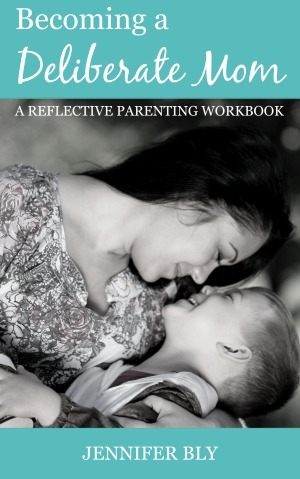 I seriously love how in depth you can get with homeschooling, I really like this idea! I also love the felt pizza you made, that looks so fun! Both of my boys would like that since they’re H’s age. All of your homeschool posts just make me so jealous of your little girls, I would’ve LOVED this when I was a kid. 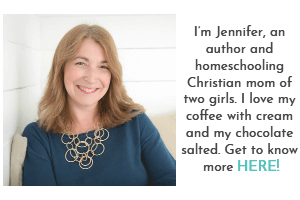 Awesome job, Jennifer! Rowing books is one of my favourite ways to present curriculum. I love reading to my kids, so when I have opportunities to enhance a book by including curriculum ideas, it’s a huge bonus (plus they learn so much)! I think it’s a lot “easier” to learn when teaching is presented in this manner because it doesn’t really “feel” like work. Wow, there are so many educational activities to do with this book. Looks like a fun story too. It’s a really fun story! We can do so many educational activities and meet curriculum objectives by diving into a book this way. Plus it makes learning so much fun! 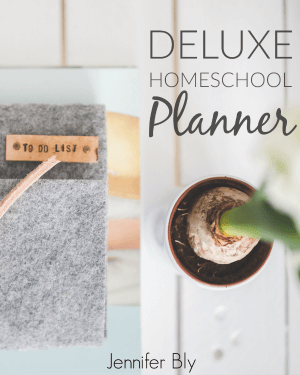 I love all of your ideas, they are incredibly useful for homeschool as well as for parents that want to create interesting and fun opportunities around our kids’ learning. Thank you for everything that you thoughtfully post. And BTW – I love the whole pizza theme. We own Pete’s A Pizza and a few others mentioned. In my former, pre-vegan life, I ate A LOT of pizza. I had great fun rowing this book! There were so many great learning opportunities that came from it! That felt pizza set you made? Ah-mazing! Thanks! 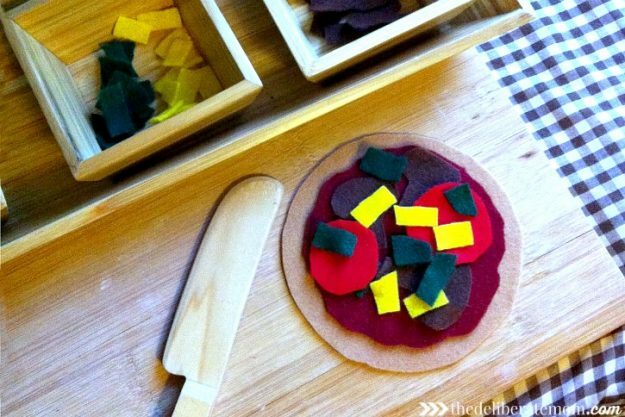 I love the felt pizza (and I was delighted in how it turned out)… it was a great alternative to the Melissa & Doug pizza set. Is there anyway you could pretty please scan me the first few pages of Five in a Row Volume 1 or all of it and email it to me? I want to read it soo bad, lol. My email is *edited out* IF by some chance you can send it. Sorry. Thanks for the link to the sample. =) Any advice on what I should include in making a binder for Five in a Row? We kept all our work for each book we rowed together in Duotangs – that way we had our own little “book” (with our work samples) of the book we rowed. If you prefer using a binder, I would just recommend dividers for each book. That’s probably all you need.